New! 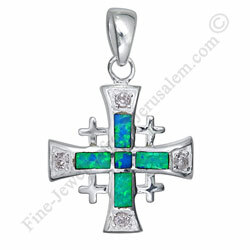 Sterling silver Jerusalem cross set with crushed opals. The opal stone is a multi colored stone of Blues & Greens, glimmers in the light and changing colors!